For the sake of convenience, you can buy prepared pastry shells in stores. Personally, I don’t think these taste very good, and they have lots of unnecessary packaging. They’re also filled with lots of weird ingredients that you probably wouldn’t cook with yourself. (Why should a person in a factory cook with them for you?) I understand if you’re scared of making pastry, but this recipe is easy, delicious and pretty easy to work with. It makes two shells for a standard 9″ pie pan. Give it a try! 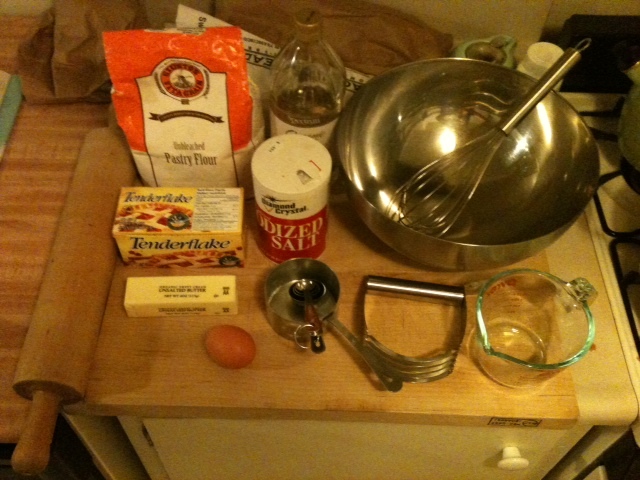 Here are the tools and ingredients I used. You can’t buy Tenderflake lard in the United States. It’s Canadian. My granny sent it to me. Tenderflake lard is like President’s Choice or Tim Hortons. You wish it was here, but it isn’t. You can get other lard here though. 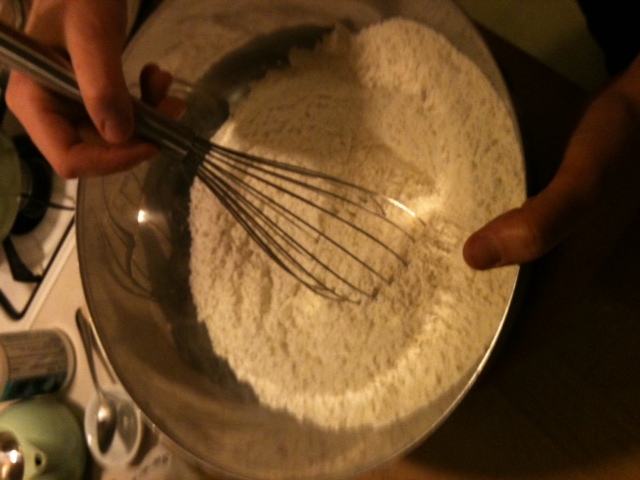 Whisk together flour and salt in a bowl. 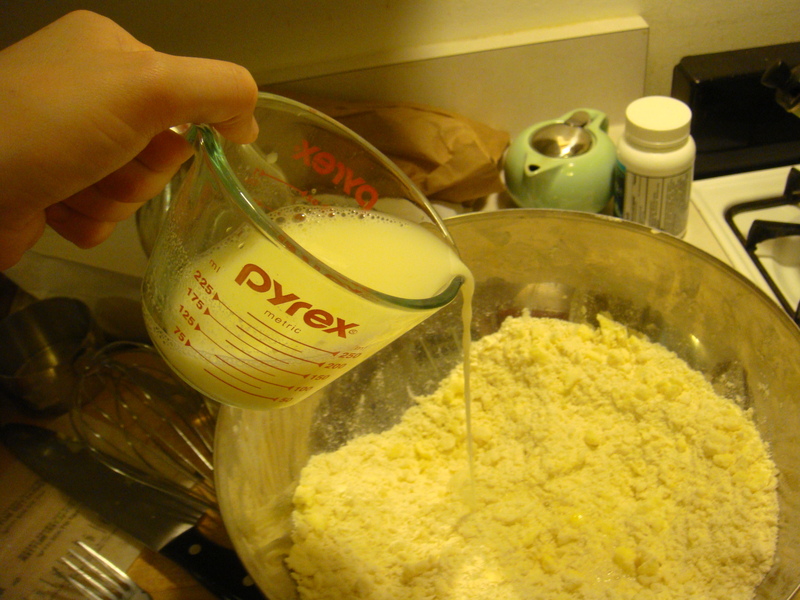 Cut lard and butter into chunks and add them to the flour mixture. 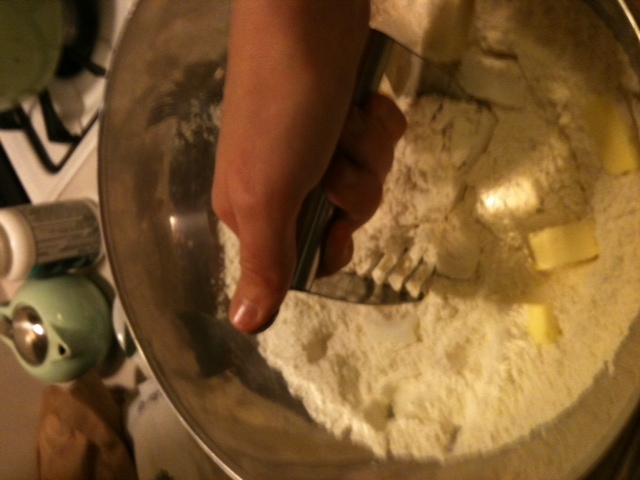 Cut them into the flour mixture with a pastry blender. 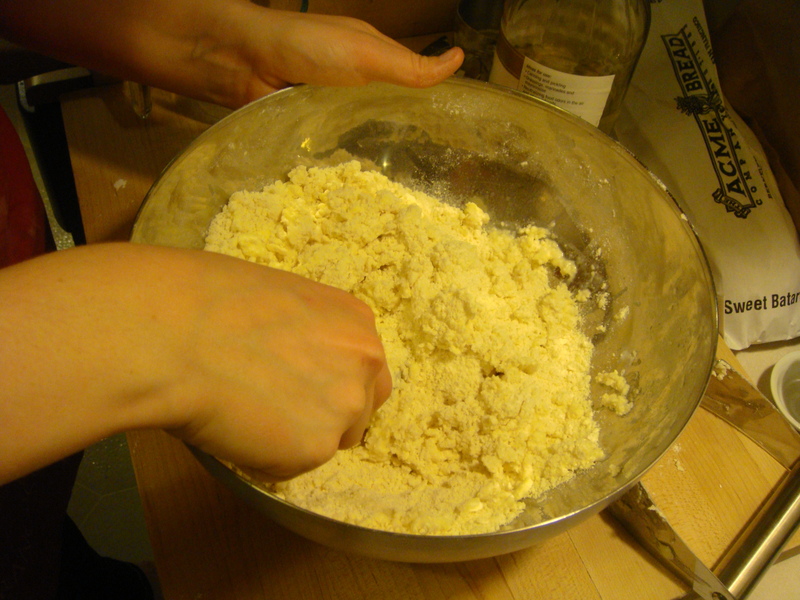 The mixture should resemble coarse crumbs, with some pea size chunks. Don’t make it too fine. 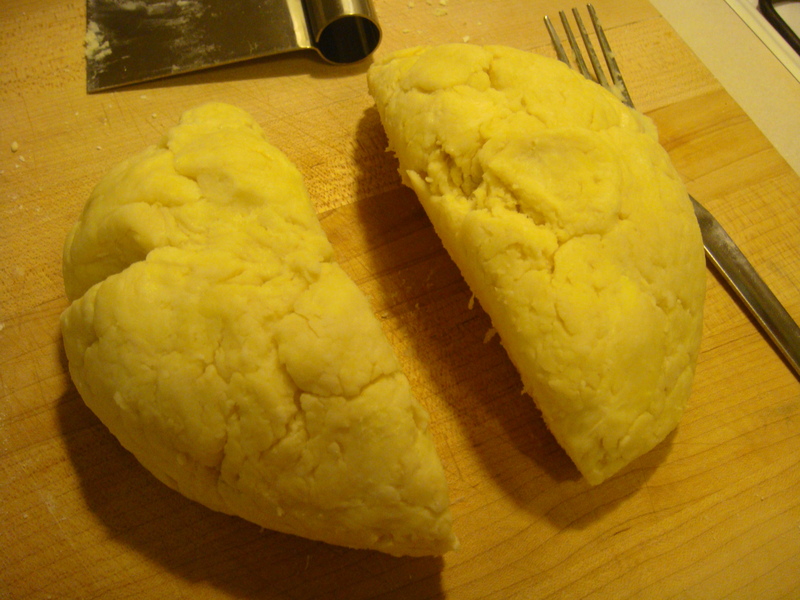 The large chunks are the secret to flaky pastry. 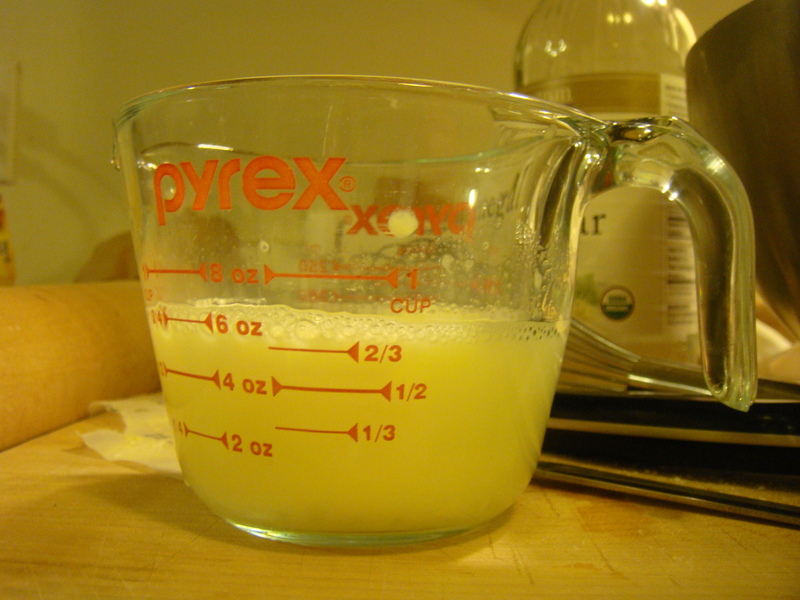 Combine egg and vinegar in measuring cup. 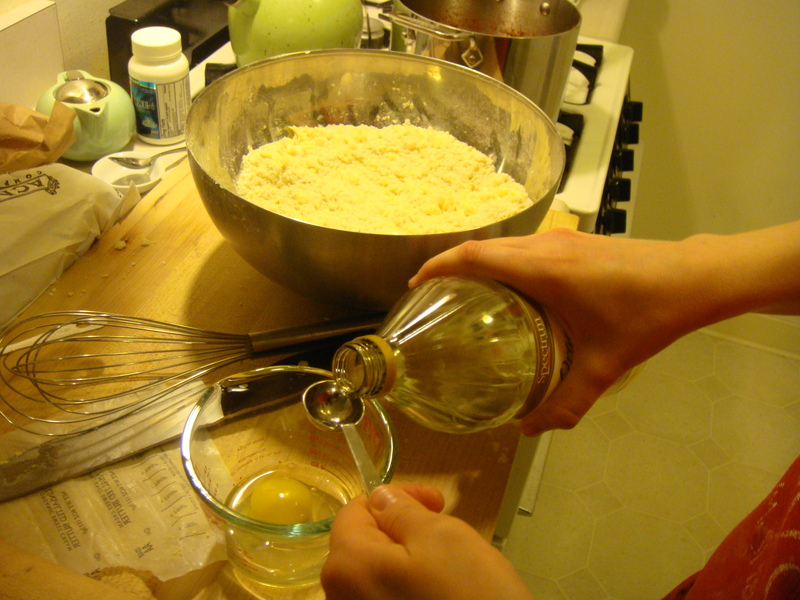 Whisk with fork. Add enough ice water to make 2/3 cup. The bubbles make it look like it’s over 2/3 cup in the picture below, but it was fine. Drizzle this over the flour mixture. 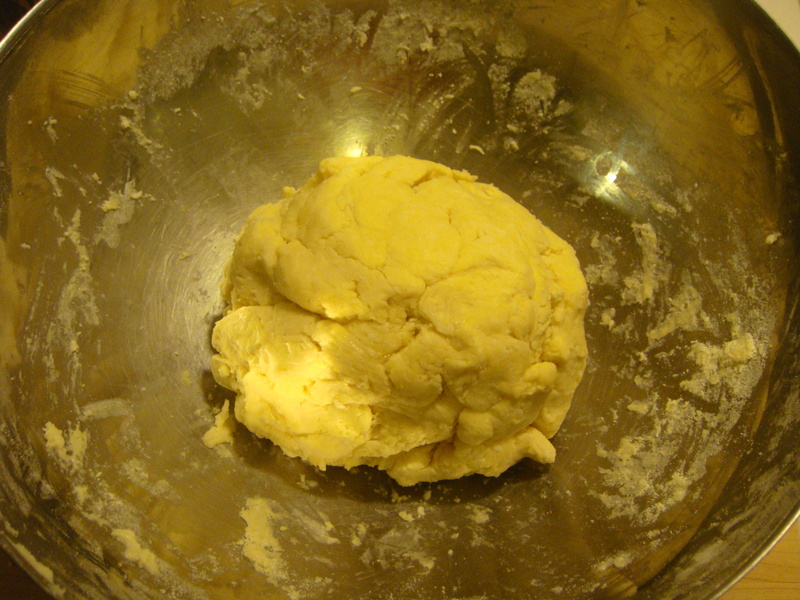 Toss together with a fork until you have a ragged dough. Don’t over mix. Form into ball. Wrap each half in parchment paper or wax paper. 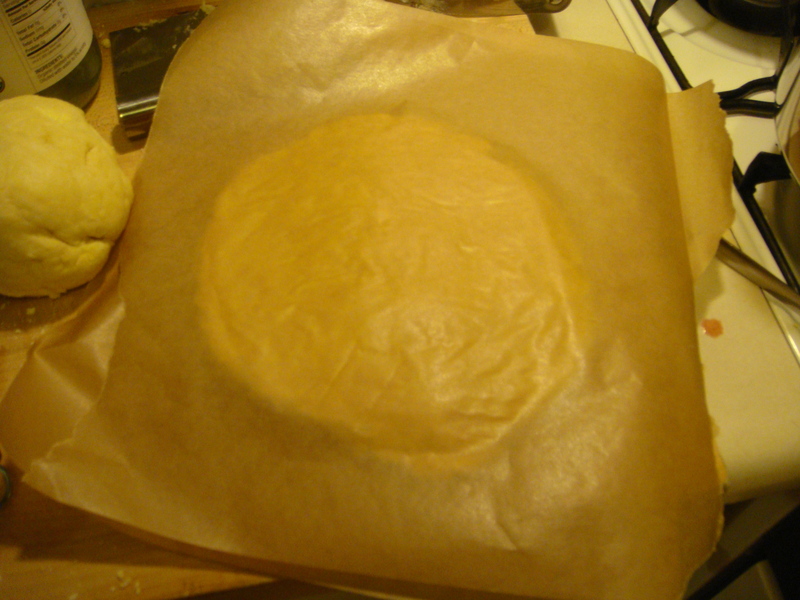 To save paper, I put the first disk of pastry between two sheets of paper. Then I set the other disk on top and put one more sheet on top. I also wrap up any remnants in the same paper. 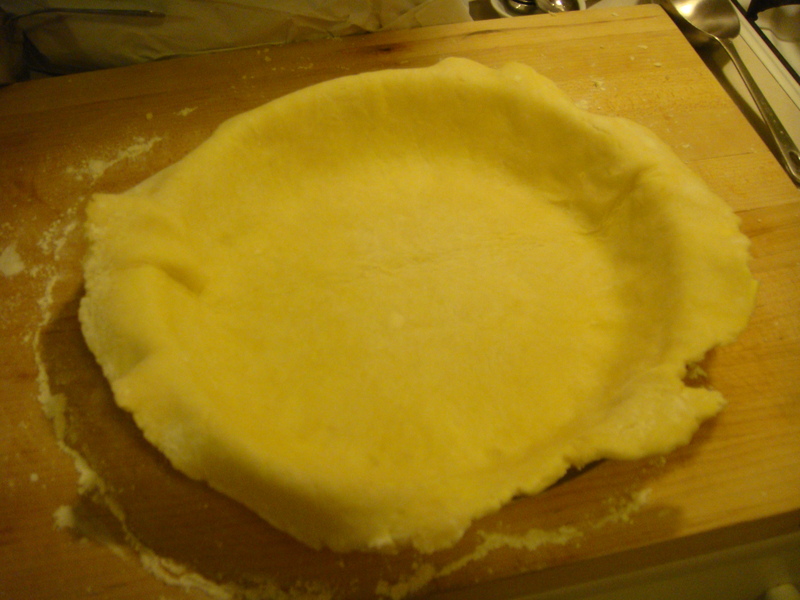 Chill the pastry for at least half an hour. 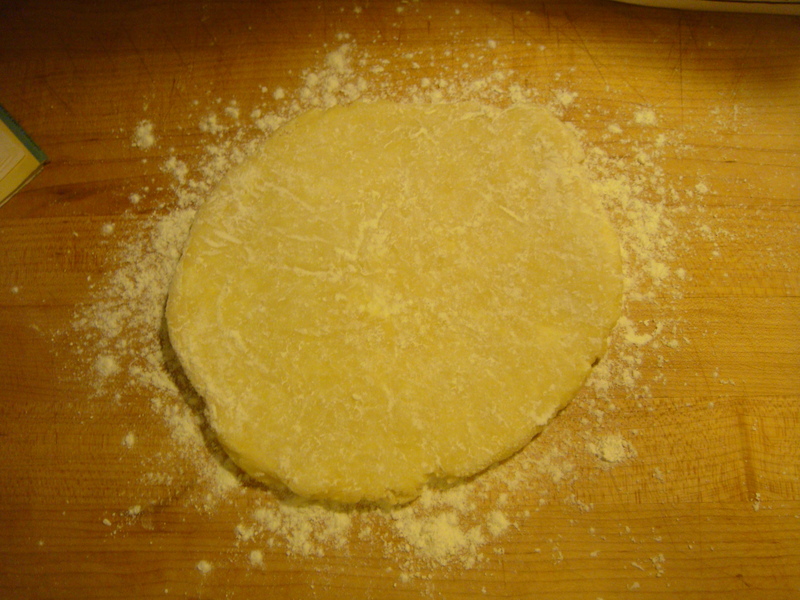 Take the pastry out of the fridge, and place it on a floured surface. 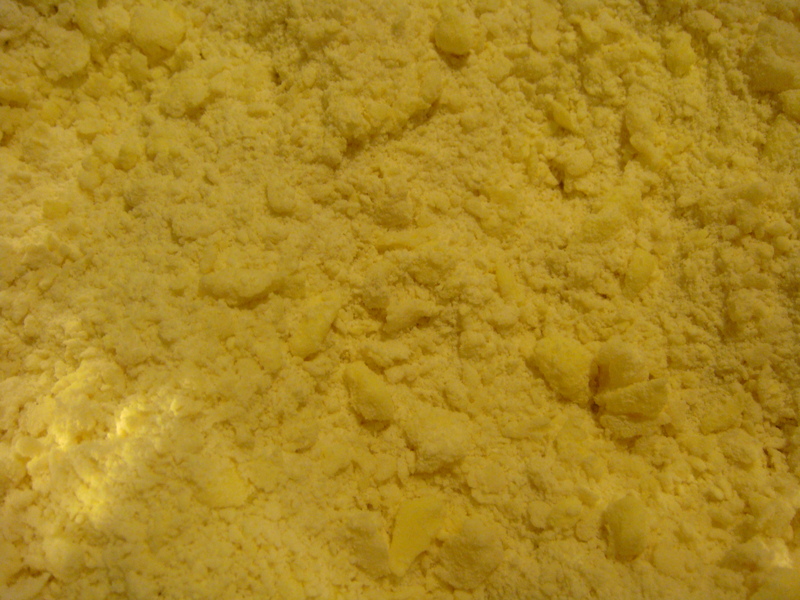 Sprinkle flour on top to prevent sticking. Roll it out and place it in the pie plate. Bake at 350 for 12 minutes. 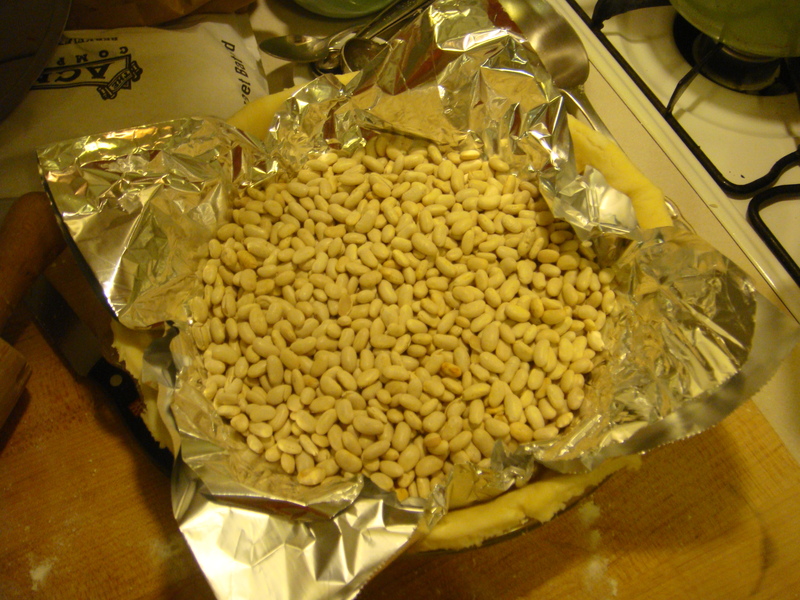 Remove the foil and pie weights and continue to bake until pastry is golden. Do I have a picture of this? Unfortunately, I forgot. I got too excited about my pie filling and filled it. If you look at my walnut tart post or my spinach-mushroom quiche post, you can see the golden crust.